La Silla sits at the lowest height above sea level of all ESO’s observatories in Chile. 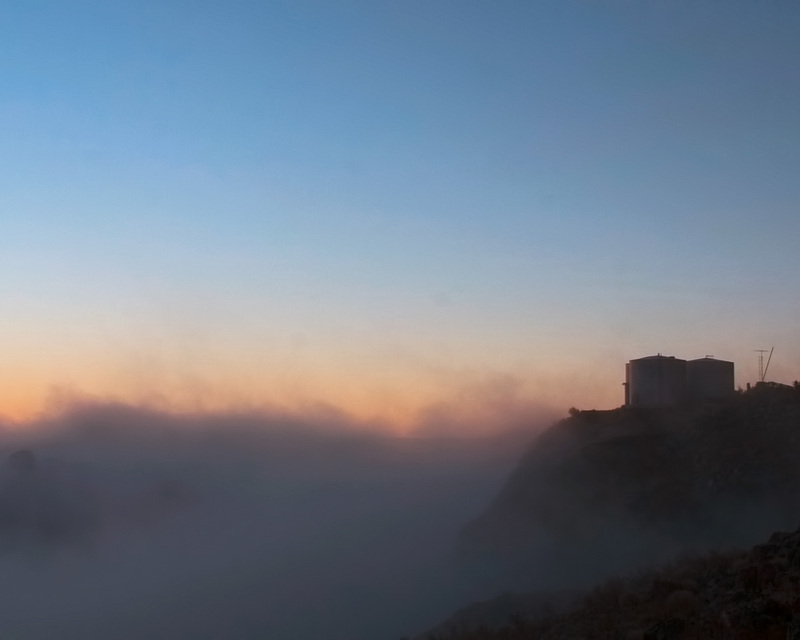 At 2400 metres, it is around 200 metres lower than Paranal and sits at half the altitude of ALMA, which resides on top of Chajnantor at an ear-popping 5000 metres above sea level. 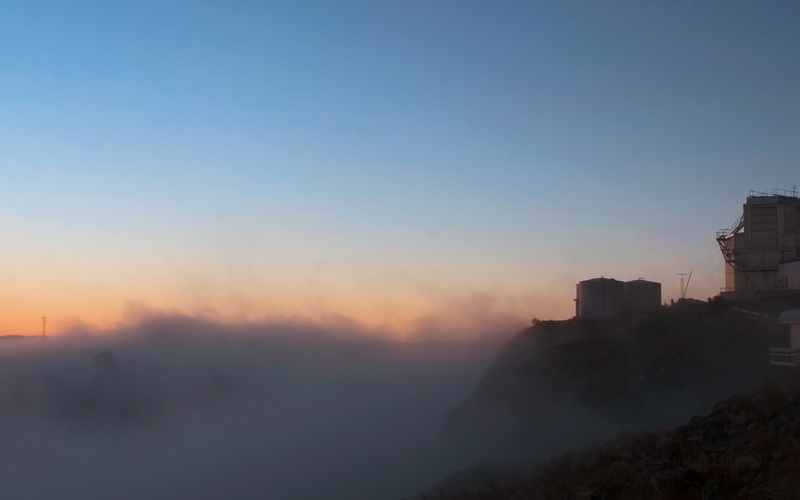 Despite being the lowest observatory in terms of elevation, scientists at La Silla are still reminded of the extreme altitude when they step outside and see spectacles like this one — clouds just beneath their feet! As La Silla is in the Southern outskirts of the Atacama Desert, one of the driest places on Earth, it may come as a surprise to see cloud formations in the region, but this arid climate is the result of the Peruvian Humboldt Current. This current is caused by the upward movement of cold water from the depths of the nearby Pacific Ocean, and flows north along the west coast of South America. It is actually responsible for the aridity of the Atacama Desert — this cold water coming to the surface of the ocean causes cold air at sea level, but warm air at higher altitudes. On rare occasions this effect also produces misty fog and clouds, but without rain. This was not a problem on this occasion though as the clouds vanished shortly after this image was taken and a clear night of observations took place. This dream like image of the La Silla sunset was taken by ESO Photo Ambassador Alexandre Santerne.